What is a small business credit card? A small business credit card is a type of credit card that is meant for business customers instead of consumers. These cards require credit checks before businesses will be approved, and most card issuers also want personal guarantees from the business owners. According to the Mercator Advisory Group’s 2018 Outlook on Credit, 2017 ended with $1.01 trillion in outstanding credit card debt. 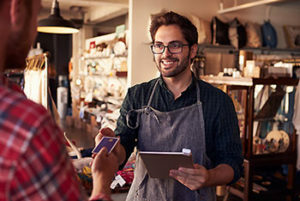 While small business credit cards account for a small percentage of the total number of credit cards, the value of transactions made with them is expected to reach $500 billion this year. How can a small business credit card help my business grow? Small businesses use credit cards in several ways to help to encourage their growth. Credit cards can allow companies to make low-dollar, high-volume purchases without having to use traditional request and approval processes. When you are able to pay your suppliers quickly, it can help you to build strong relationships with them. Using credit cards instead of cash systems in your business can also help to plug expense leaks. If you ask your employees to spend their own money and ask for reimbursements, they may be tempted to pad their expense reports. When you give them credit cards, you can eliminate the losses that you might suffer from the reimbursement process. Where can I get a small business credit card? Before you apply, keep in mind that your credit will be checked. Whenever your credit is checked, it can have an impact on your credit score, so make sure that you want the offer for which you apply. What is the best credit card for small business? The best credit card for small business purposes is one that charges minimal interest and does not have high annual fees. 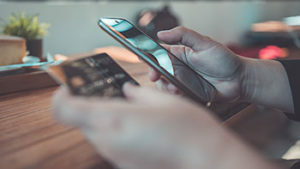 Ideally, a credit card that gives you controls to turn off individual cards remotely, restrict spending to specified categories, and establish daily spending limits would be terrific. When you search offers, you might be surprised to learn that the average interest rate charged by business credit card issuers is 15.37 percent as of Oct. 2018. This interest rate is what you might expect even if your personal credit score is great. 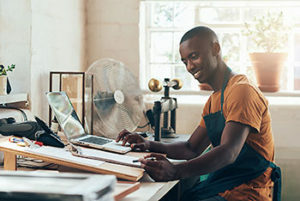 You might determine that a small business debit card might be a better alternative for you than a credit card for small business. Startup companies may run into difficulties finding credit cards for which they can be approved. Many lenders are hesitant to extend credit to businesses that have been operating for fewer than five years. Like other companies, startups need the type of flexibility that credit cards can offer to pay for items without high costs per transaction. One option for entrepreneurs is to choose business debit cards instead. 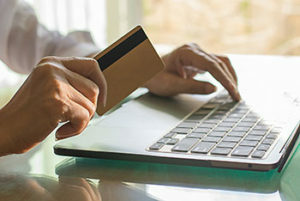 Some business debit cards offer substantial controls to business owners over what can be purchased, where the cards can be used, when the cards can be used, and how much money can be spent. These cards might help to prevent expense leaks while also affording better spending flexibility. Which small business credit cards are the best for travel? When your employees need to travel for their jobs, processing their expenses can be a real headache for your business. You may have trouble determining which expenses were truly related to your employees’ work-related portions of their trips and which might have been personal expenses. Instead of having your employees pay their own expenses and submit requests for reimbursement, you can simply give them cards to use on their trips. 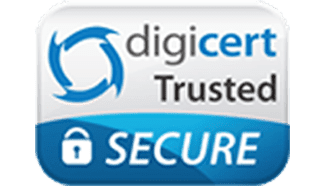 An alternative to a small business credit card for travel is a debit card that allows you to restrict the purchases to specific vendors or merchants. This can help you to control the travel expenses and avoid the problems that can be associated with reimbursements. What is a small business debit card? A business debit card is similar to a consumer debit card in some ways while differing in others. The card is linked to your deposit account. When you make purchases with your debit card, the cost is subtracted from your existing funds. Like personal debit cards, business debit card use does not result in interest charges, and you do not have to submit to credit checks. Debit cards for business may have additional features such as the ability to restrict how much can be spent per day with the card as well as when the cards will work. How do small business debit cards differ from business credit cards? There are several ways in which a debit card for small business differs from a credit card for small business. When you apply for debit cards, your credit will not be checked. You will not be charged interest on your purchases. Debit cards may allow you to exercise significant controls over the way that your money can be spent. By contrast, a credit card for a business will require a credit check and may impact your credit score. If you carry balances, you may be charged a high rate of interest. Many cards also come with high annual fees, and purchases that you make are added to your debt. A debit card may have several advantages over a credit card for business purposes. Debit card purchases come from funds that you already have instead of adding to your debt. You can also set limits on the daily amounts that can be spent and limit where purchases can be made by merchant codes. Spending on debit cards is also more transparent. You can log into your account to see the transactions that have been completed on each card in real time. Some cards allow you to turn them off remotely if you see an issue or if the card has been lost. Managing your company’s cash flow can be simpler when you use debit cards for small businesses. Some of these cards are able to integrate with your accounting software. When an employee makes a purchase, the transaction information can be directly imported in real time. Your employees can also take pictures of their receipts and submit them electronically together with the transaction data. This helps to end the problem of tracking down receipts. You will be able to see the balances on your cards and understand how much money you have available at any time. Using debit cards can help you to rein in your expenses and to understand exactly what is being spent. Since the charges are subtracted from your balance, you can simply check it to know how much has been spent. Some debit cards have interactive dashboards that allow you to see all of the individual cards and the charges that have been made with them. If an employee has attempted to use his card at an unauthorized location, the attempt will be declined. You will be able to see what occurred and talk to your employee about it. It is crucial for the success of your business that you have a system in place to manage your expenses. If you have a weak expense management system, you may suffer losses from expense leaks, fraud, and unauthorized purchases. 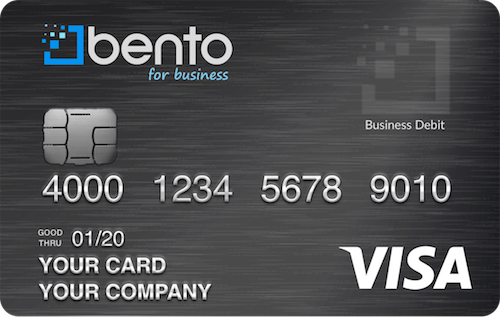 The Bento for Business Visa debit cards come with built-in expense management features and controls. You are able to restrict where, how much, and when your employees can use your cards. For example, if you have a company that requires its staff to wear uniforms, you can give an employee who is responsible for sending them out to be cleaned a card that is restricted to paying your preferred launderer. You can limit the card to the normal price that you have negotiated with the laundry company. Once the payment has been made, you can turn the card off and turn it on again when it is time to send more uniforms out again. The Bento for Business Visa debit card provides businesses with the flexibility that they need while also giving them the ability to implement stringent expense controls. Deposits that are held by Bento are insured by the FDIC for up to $250,000 through the Bancorp Bank; Member FDIC. Bento also uses highly secure 256-bit SSL encryption technology to protect your information. Businesses do not have to submit to credit checks since the cards are not credit cards. Each year, two cards are free. If you need more cards, you can order up to 10 for an affordable monthly cost of $29. Bento offers a free 60-day trial so that companies can take the cards on a test drive before they make their decisions. To learn more, call 866.220.8455.